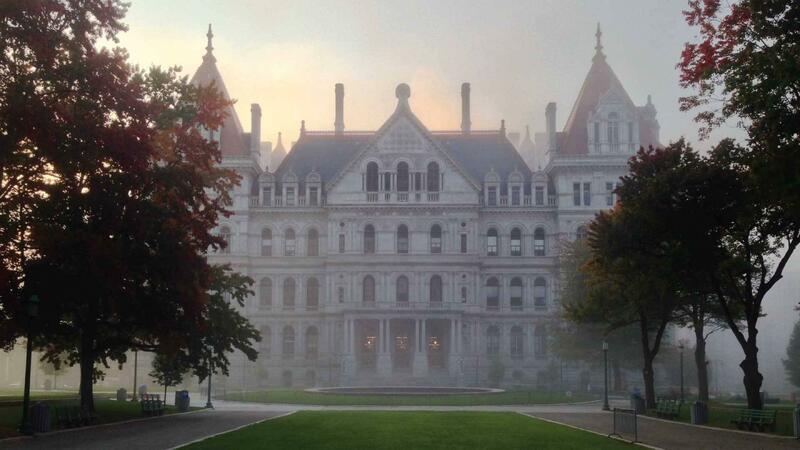 There have already been 125 fundraisers for legislators’ election campaigns in Albany since the session began - a total of 25 days since January. The minimum price for an entry ticket ranges, in most cases, from $250 to $750, although Governor Cuomo held a fundraiser in New York City on March 14, where the minimum ticket cost $25,000. Blair Horner, with the New York Public Interest Research Group - which tracks the events - spoke on a day at the Capitol crowded with lobbyists, and other interest groups, who were vying for the attention of lawmakers to get their item passed, or in some cases, killed. Horner says with the fundraisers at the same location during the evenings, it’s hard not to present at least an appearance of pay to play. He says it’s not the lawmakers’ constituents who attend. Horner is an advocate of matching small donor public campaign financing, and Governor Andrew Cuomo has released a detailed plan in his state budget. It’s based on a successful 7-to-1 small donor matching program that has been in place in New York City for decades. For each dollar contributed to a campaign, the candidate receives seven dollars. Jessica Wisneski, with the government reform group Citizen Action, also backs the proposal. She says it would be a welcome change from the way state lawmakers currently run campaigns. But Governor Cuomo has pulled back a bit from his support of the measure. He said earlier this month that while he still wants the provision in the final spending plan, due April 1, he would accept a partial plan. He says details, like how to fund the program could be worked out later. He says he doesn’t believe the public wants taxpayers to pay for the programs. The Democratic-led Senate and Assembly included the concept of a public campaign finance plan into their one house budget resolutions, but they did not provide any ideas for setting up a structure. The 2010, the Supreme Court Citizens United v. the FEC decision said that corporations, not-for-profits, and unions, can spend an unlimited amount on federal campaigns, as long as they are separate from a candidate’s re-election effort. He says if a candidate’s fund raising is restricted under the public campaign finance rules, then an independent expenditure (IE) group, spending unlimited money, could swing an election. Wisneski, with Citizen Action, remains skeptical of Speaker Heastie’s arguments. She says her group has identified at least 50 Assemblymembers who would vote yes on public financing. She says they are spending the coming days trying to bring that number up to the 76 votes needed for passage in that house.